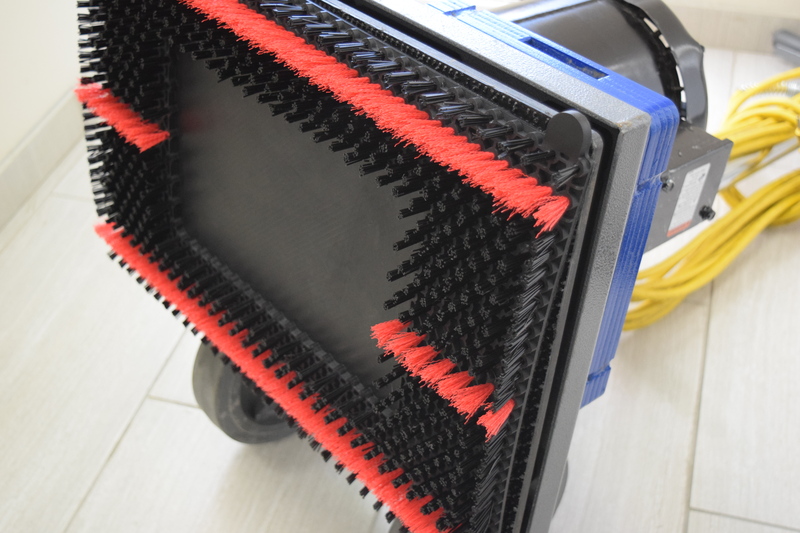 A light weight, deep cleaning, rectangular brush designed for the oscillating floor machine industry. 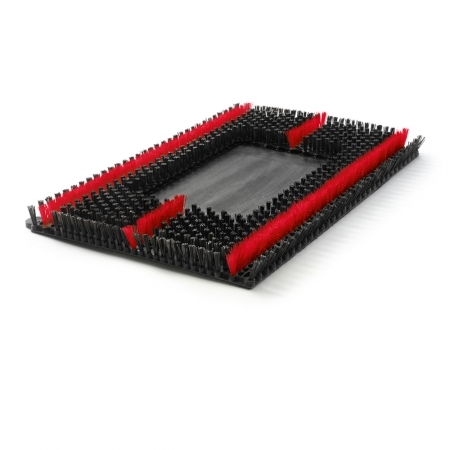 The innovative, patent pending design, is tufted with polypropylene (.040” diameter) and durable 6/12 nylon (.016” diameter) filament. 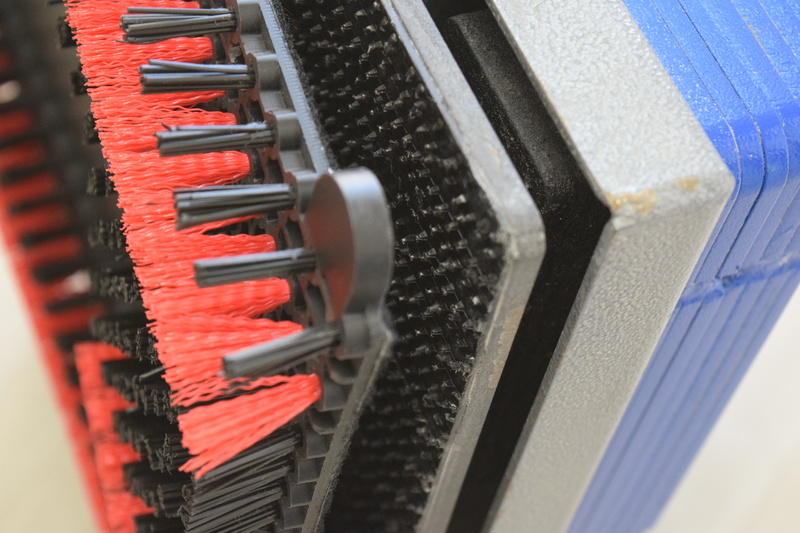 Hook-and-loop attachments make Sonic Scrub a breeze to install or remove. 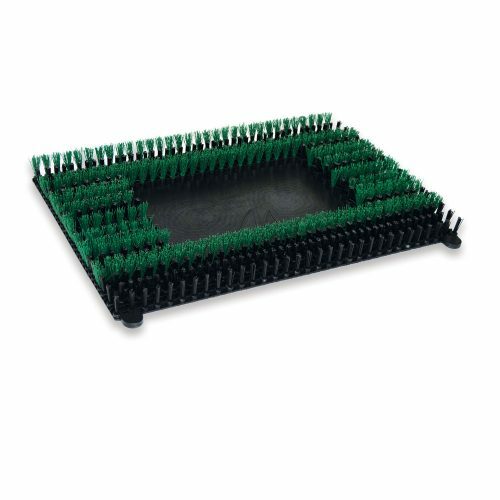 Sonic Scrub features dual filament (polypropylene and nylon) construction for superior scrubbing action with either water or cleaning solution. 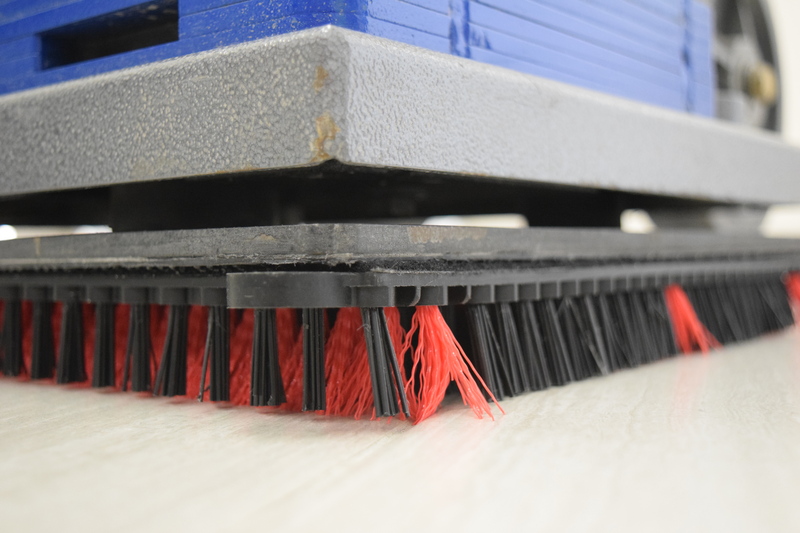 Ideal for cleaning deep grout lines and uneven floors. 702420 Sonic Scrub 6-15129-70242-3 Black/Red 14" x 20"